There is this adage in Yoruba, interpreted as: “The dog that will get missing will not hearken to its master’s whistle.” Human beings too fall victim of this. God keeps blowing the whistle by several means but what do we do? We usually choose to ignore the warning sounds God is shouting out to us. 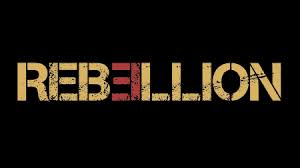 Many people are driven by rebellion. Everything around them is screaming, “Don’t go that way. In it lies destruction!” Yet, that is the way they will decide to go by. I have seen several people personally, who are being warned against taking certain steps but they refuse. I then wonder, what’s going on. It’s so clear that the road they have chosen to tread can not lead them to a safe destination but they are bent on walking the road. They are totally blinded. The road that seems nice to them is actually the wrong road and they are unable to realize it. And why is this? They are not ready to listen to God. They feel God’s perfect will for them may not fit into the picture frame they have made for themselves. They surround themselves with people like them who will deceive them. They listen to those who will corroborate the decisions they have made. They refuse to listen to the truth. Are you in this category? Have you gone down to Egypt? Are you on a chase after the pleasures of life at the detriment of your life? Are you in a relationship that is not God ordained? God’s calling out to you today. He does not want to see you destroyed. Hearken to the voice of The Lord to you today. He is giving you another chance to retrace your steps to the path of life. Jesus is calling you! Choose life today. Who set out to go down into Egypt, and have not asked Me–to flee to the stronghold of Pharaoh and to strengthen themselves in his strength and to trust in the shadow of Egypt! Therefore shall the strength and protection of Pharaoh turn to your shame, and the refuge in the shadow of Egypt be to your humiliation and confusion. Yet will all be ashamed because of a people [the Egyptians] who cannot profit them, who are not a help or benefit, but a shame and disgrace. For Egypt’s help is worthless and toward no purpose. Therefore I have called her Rahab Who Sits Still. Now, go, write it before them on a tablet and inscribe it in a book, that it may be as a witness for the time to come forevermore. Who [virtually] say to the seers [by their conduct], See not! and to the prophets, Prophesy not to us what is right! Speak to us smooth things, prophesy deceitful illusions. Get out of the true way, turn aside out of the path, cease holding up before us the Holy One of Israel. Therefore this iniquity and guilt will be to you like a broken section of a high wall, bulging out and ready [at some distant day] to fall, whose crash will [then] come suddenly and swiftly, in an instant. And he shall break it as a potter’s vessel is broken, breaking it in pieces without sparing so that there cannot be found among its pieces one large enough to carry coals of fire from the hearth or to dip water out of the cistern. And you said, No! We will speed [our own course] on horses! Therefore you will speed [in flight from your enemies]! You said, We will ride upon swift steeds [doing our own way]! Therefore will they who pursue you be swift, [so swift that]One thousand of you will flee at the threat of one of them; at the threat of five you will flee till you are left like a beacon or a flagpole on the top of a mountain, and like a signal on a hill.